The Liberty 1-3/8 in. Antique Brass Sundial Round Knob accents traditional home decor with a hand-rubbed finish and elegant, distinct style. Update your cabinet hardware to give any room a brand new look. Mounting hardware included for easy installation. 1-3/8 in. 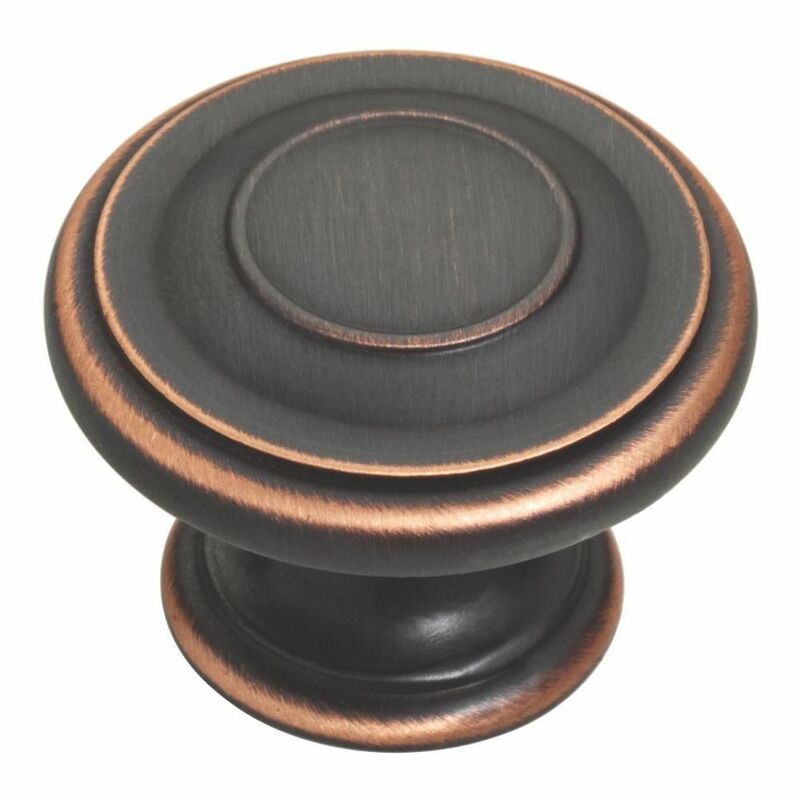 Harmon Knob Make a bold statement when you display the Liberty Harmon 1-3/8 in. Knob. This stylish piece of hardware possesses a sturdy base with intricate ring designs on every layer of this classy piece of hardware. The rear-mounting feature creates an easy installation experience. 1-3/8 in. Harmon Knob is rated 4.7 out of 5 by 38. Rated 5 out of 5 by Wiwinkiwi from I was thinking to replace one for the dresser when... I was thinking to replace one for the dresser when it was broken. Then decided to change all three drawers in the middle. They Look very good on my dresser. Very happy with the purchase. Good quantity too. Rated 3 out of 5 by HomeDepotCustomer from it's a door knob!! I put them on my hutch to see how they would look in my kitchen, and they loo... it's a door knob!! I put them on my hutch to see how they would look in my kitchen, and they look great, but some were hard to screw on. Rated 5 out of 5 by Ed2554 from Cute knob - easy to install and looks great. I love the bronze and copper finish! Cute knob - easy to install and looks great. I love the bronze and copper finish! Rated 5 out of 5 by Nancy from When you need a couple more than the multiple... When you need a couple more than the multiple package has. Good looking for sure. Rated 5 out of 5 by Allen from Product matches the picture. It is hefty. Good quality. ... Product matches the picture. It is hefty. Good quality.